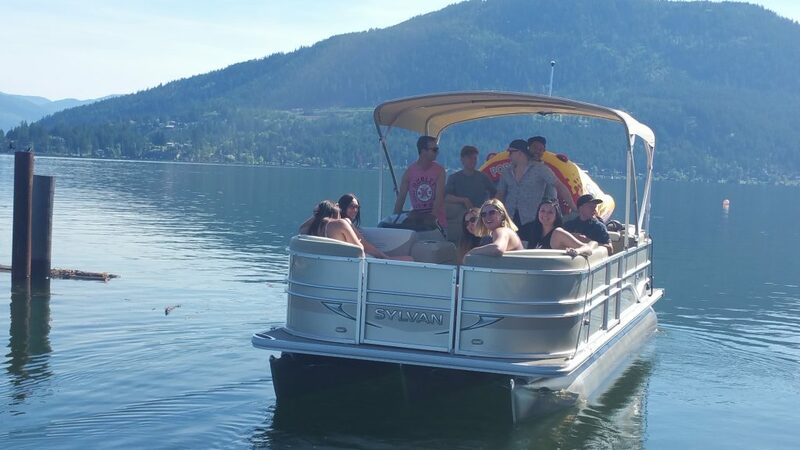 Pontoon boat: $400/full day - Ski boat $375/full day *For more information about this special offer please give us a call. 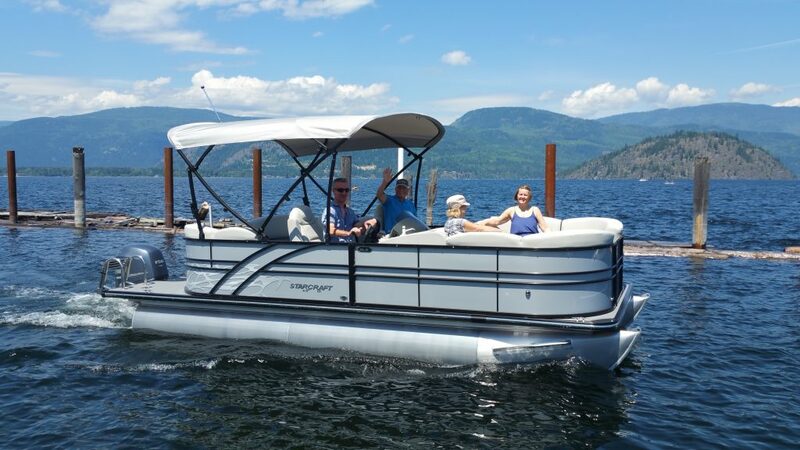 20′ Glastron 205 GTS, 270 HP, stereo, tower, bimini top, seats 8. 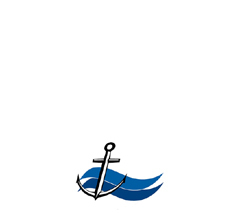 Rent a boat from us and experience our high level of service, our boats are clean and fully equipped. 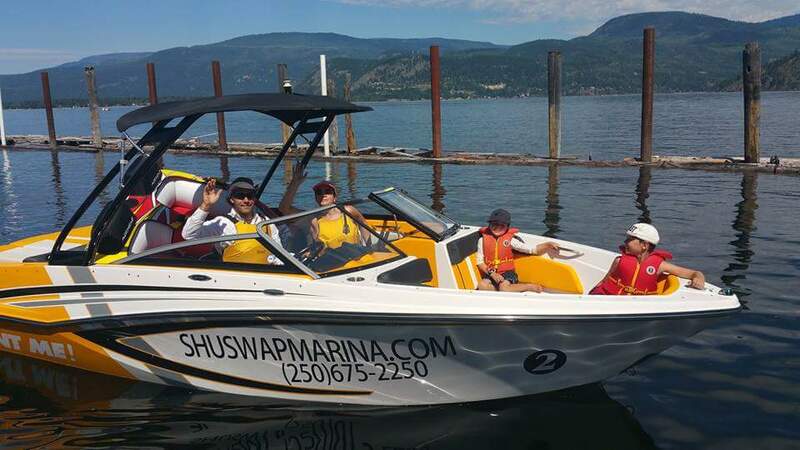 We have lifejackets in all sizes from newborns to 5 XL, each boat comes with 3 free toys to make the most of your time on the lake, double tubes, kneeboards and wakeboards are everyone’s favorite. 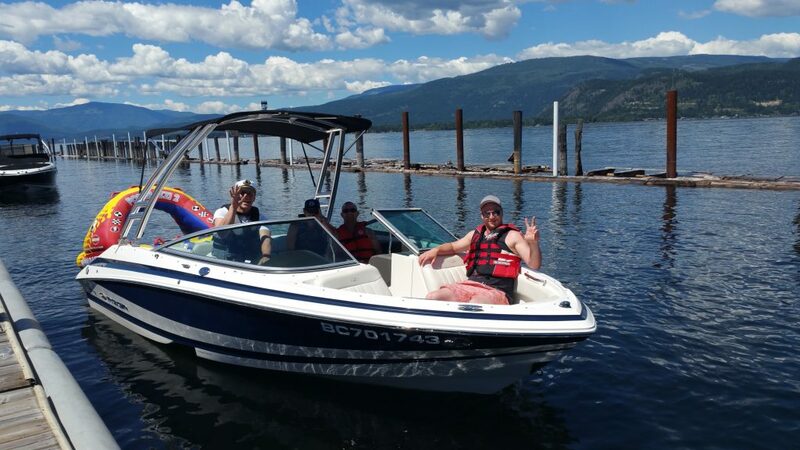 To the pet lovers: you can now bring your best friend with you to explore Shuswap Lake, just pay our $50/non refundable fee and don’t worry about leaving your pet behind. 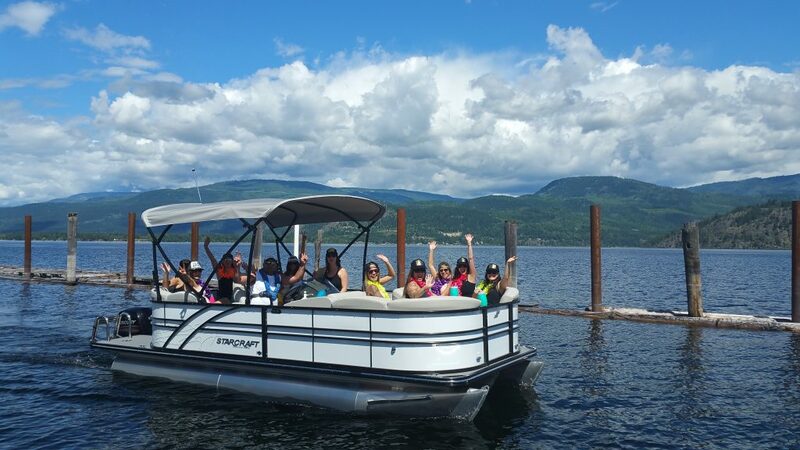 If you have someone with movement impediment please let us know so our crew can have the boat closer and ready – we want to make sure everyone has a good time at the lake. Booking deposits are refundable with at least 21 days notice of change or cancellation. With less than 21 days notice all booking deposits are non refundable. Deposit only available over the phone or in person with a credit card number. 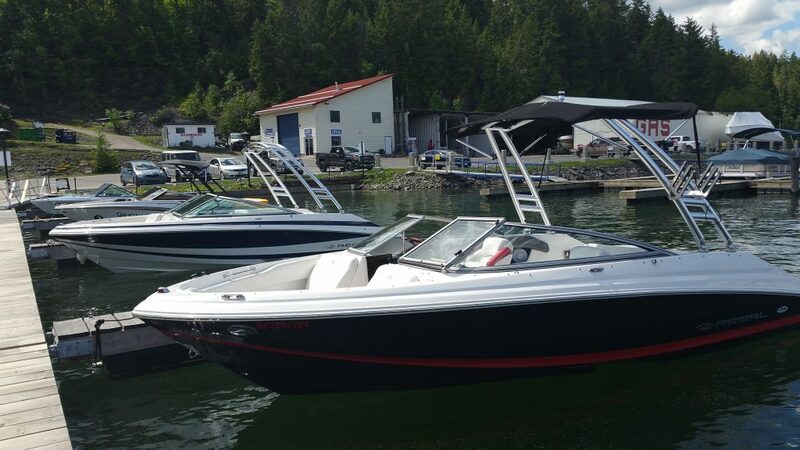 We hope you enjoy the lake as much as we do! Fun travels!